In Mark 4:35-41, there is a familiar story of Jesus calming the stormy sea. Perhaps you are familiar with the story from Sunday School or the old flannel graphs and can picture Jesus standing at the front of the boat, arms outstretched commanding the sea to “be still”. It could be that you’ve heard this passage preached on many times maybe calling you to have faith through the storms of life. Certainly, there is even an aspect of Christ’s sovereignty over nature that flows right out of this passage. But there are two elements about this passage that I’d like to point out, which you may not be aware of. The first, perhaps more obvious, is the typological fulfillment of Jonah from the first chapter recorded on his ministry. In short, typology is when a person, event, or institution points forward to a future person, event, or institution. The type points forward to the antitype. In the account from Jonah chapter 1, we see Jonah, the type, and above in our passage from Mark, we see Jesus, the antitype. In each case the men recognized that it was the Lord who had control and dominion over the sea and as a direct result of that recognition, each group of men were seriously afraid. This is the right and biblical response to the power and majesty of God. Here we see that just as Jonah was cast overboard from the boat as a result of sin and spent three days and nights in the belly of the God-appointed whale, so also Christ as a result of sin, though not His own, was to spend three days and nights “in the heart of the earth”, following His death on the cross. Similarly, upon the command of God the whale spit out Jonah and Christ was raised victoriously from the grave. Christ asserted Himself as not only the fulfillment of the type and shadow that Jonah portrayed through his actual, physical encounter with the whale, but also that He was the greater Jonah, sinless on all accounts and reigning supreme over the sea and more importantly death. Isn’t this a fascinating example of the unity and harmony of God’s Word. 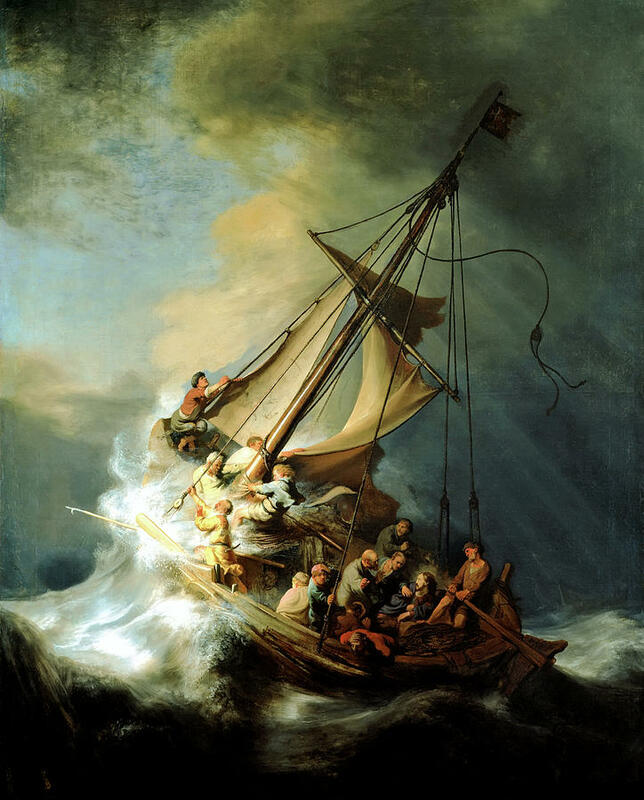 Here in a small, but familiar passage from the Gospel of Mark, we find connectivity with Jonah in which we see the supremacy of Christ as a fulfillment of the type and evidence of Him as the greater Jonah. We can observe the right response that man should have when he encounters the awesome and majestic power of God. Additionally, we see a Psalm of David as a near word for word account of Mark’s Gospel, in which the psalmist magnifies the almighty power of God that is on display as He delivers those who seek Him in their time of despair. Likewise, we can observe a second response of those who have experienced the blessing of God’s magnificent power and work, thankfulness and praise.